There are no limits to what you can dream! 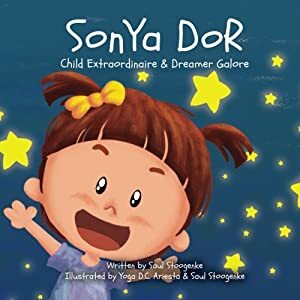 Let Sonya Dor take you along for a limitless adventure to explore her wild and crazy potential. Our bodies sure can make some funny noises! Join these lovable characters as they count down ten sounds that you may hear coming from your own body! 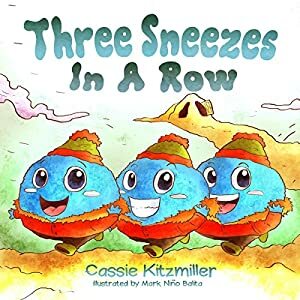 A fun and educational book that teaches numbers, introduces body sounds, and engages the imagination. This book can be enjoyed by children of all ages and the special *surprise* ending will have even the adults giggling along! This newest release, "Too Much Junk in My Trunk!" teaches children to eat a variety of food, encourages them to try new foods from early on, and teaches them not to overeat as well as providing comfort in knowing that their parents will usually "fix their boo-boo" so they know who to go to when that occurs! 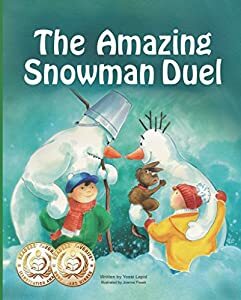 This edition actually engages the child throughout the book through questioning the reader, which enhances the child's experience of what the characters are embracing throughout the story. Splish- Splash with Zealy and Whubba-more to come!! Watch for it! If you like lively, hands-on children's books that delight your child while teaching life lessons, then you'll love Fifo Today I Feel Emotion! Is your child struggling with complicated feelings? Discover a fun, interactive method to guide them through the wonderful world of emotions! The best book for introducing the concept of emotions and feelings to children. Are you feeling happy or sad, anxious or inspired? This engaging interactive guide will help your little ones to identify their feelings and emotions with words, as well as on a visual level. Being able to identify those feelings and emotions within yourself and others leads to empathy, compassion and kindness. Is your toddler confused by the emotions of others? 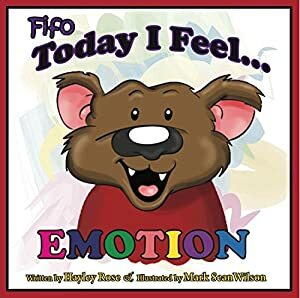 Fifo Today I Feel Emotion is a collection of fun, interactive prompts for you to read with your child. Rose's book allows you to share how you experience feelings together and to actually express them into an interactive mirror on the final page. This delightful introduction to the world of emotions is the perfect conversation starter to learn how your little ones feel. While playing at the park, Zack and Chloe wonder how Fifo is feeling. Little do they know, Fifo is off alone and experiencing a whole range of different emotions, that is until they meet up with him for a much needed hug. Fifo Today I Feel Emotion is the perfect companion book to books like No, David!, How to Train Your Dragon, The Pout-Pout Fish series, and other stories that feature emotions. About The Fifo the Bear Series. Perfect for children ages 1-6. This is the fourth book in a series of books featuring Fifo the Bear. Fifo the Bear books are books meant to be read with your children, taking each page at a time and having a fun, interactive discussion to promote bonding and enhance the learning experience. Grab them all; great fun for the whole family and you won't realize that you're learning too! Perfect for ages: 1, 2, 3, 4, 5 and 6. Perfect for teachers and homeschoolers. This book was inspired by the author's autistic godson, helping him to relate his feelings and emotions with words. Does your child have a Guardian Angel? Share a day in the life of a little girl whose tiny guardian angel named Angela sits on her shoulder to keep the child safe and guide her through the day. Her activities include getting ready for school, crossing the street, being polite and kind to friends, learning her lessons, fastening her seatbelt while traveling, being aware of stranger-danger, praying for her pets, and reminding her constantly that she is loved. Once again social values are emphasized in this latest illustrated children's story by award-winning author Sherrill S. Cannon. 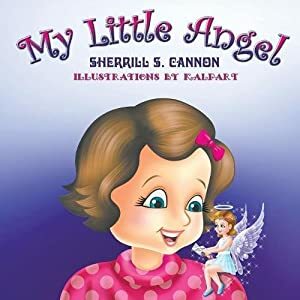 Meet many classroom friends from the author's previous books, as My Little Angel Angela guides this child throughout her day. 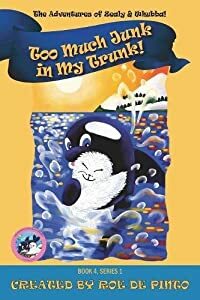 This is the author's ninth rhyming children's book, whose other bestsellers include The Golden Rule, Mice & Spiders & Webs ... Oh My!, My Fingerpaint Masterpiece, Manner-Man, Gimme-Jimmy, The Magic Word, Peter and the Whimper-Whineys, and Santa's Birthday Gift. Former teacher Sherrill S. Cannon has won forty-five awards for her previous rhyming books and is also the author of seven published and internationally performed plays for elementary school children. She has been called "an absolute master of rhyming" by Mother Daughter Book Reviews and "a modern-day Dr. Seuss" by GMTA Review. She lives in New Hope, Pennsylvania. Now retired, she travels the country with her husband in an RV, going from coast to coast to visit their children and grandchildren, and sharing her books along the way. 10x Award Winning Series 2016/2017 including the Silver Mom's Choice Winning book, Zealy's Very First Swim! Those two, heartwarming characters, Zealy and Whubba, develop their relationship through learning, loving and protecting one another. Although this little "killer" whale and fluffy little sealpup would normally be the most unlikely of friends, they become the most, adorable, fun-loving pair in the sea! Zealy learns to swim in this episode with her daddy's guidance and Whubba practices with her, while having tons of fun doing all kinds of tricks that Zealy never knew she could do! Just by practicing with Whubba, she learns so many moves, splishing and splashing, diving over and under Whubba and even riding on his back! 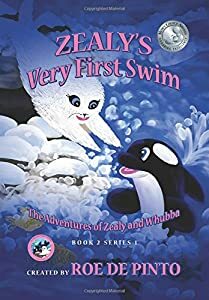 Float along with Zealy and Whubba and enjoy the learning and the fun! The little "killer" and fluffy sealpup will kill you with their kindness and sweetness, melting your heart as they put a smile on your face and your little one's, too. Let the world of Zealy and Whubba light up your world with happiness! More adventures are coming- watch for their new escapades that follow soon! A young boy is playing with his toys and doesn't want to go to bed. He imagines his toys coming to life one by one, and they convince him that going to sleep is the best way to continue his adventures. As parents of young children know all too well, convincing a child that it is time to go to bed can sometimes be difficult. Bedtime for Buzzy encourages bedtime by helping to lead children to their own conclusion that it s time to go to bed. 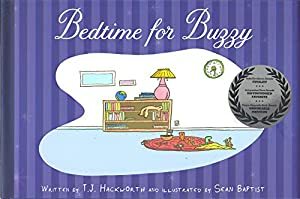 Bedtime for Buzzy makes a perfect addition to a child's nightly storybook ritual. The Oyster’s Secret Mr. Oyster may not be able to swim like other creatures of the sea, nor is he as colorful or agile, but he’s got a secret – one that makes him just as beautiful as any of his friends in the sea. While his friends brag about all the things they can do, Mr. Oyster happily sits by, seemingly doing nothing at all. 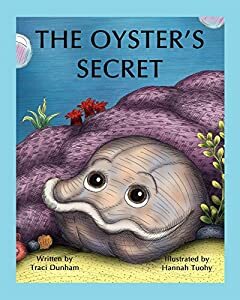 But he’s actually doing something very, very special … The Oyster’s Secret is a beautifully illustrated children’s book that teaches youngsters the importance of inner beauty. Through Mr. Oyster, young readers learn that what is on the outside is not what counts; true beauty lies within. Indeed, it’s inner beauty that matters most of all. Xavier is visiting the zoo. At lunchtime, he can't find his lunch. Xavier investigates. Who ate his lunch? 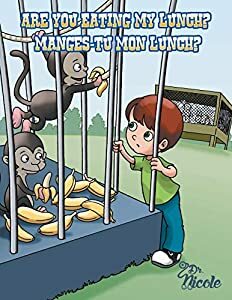 Read this story to know more about zoo animal's favorite food and find out where is Xavier's lunch. This book is written in English and French. Xavier visite le zoo. À l'heure du midi, il ne trouve plus sa boîte à lunch. Xavier enquête sur la disparition de son repas. Il interroge les animaux du zoo. Ce livre est écrit en français et en anglais.